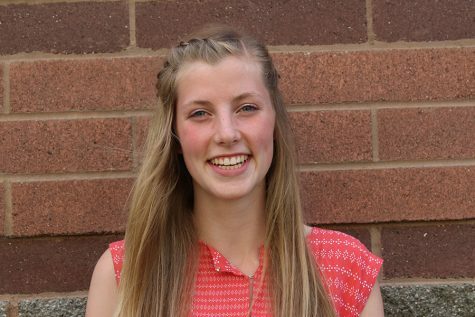 Web Editor Emily Van Bergeyk joined The Viking Vanguard in 2015. Van Bergeyk is part of the Varsity cross-country and track teams. Van Bergeyk enjoys drawing, playing the piano and cooking. In her free time Van Bergeyk belongs to different clubs like Key Club and Honor Society, as well as playing in the PHS band. Volunteering with small children, Girl Scouts and being part of “Young Life” are the other activities that fulfill her free time. Making other people smile is what makes her the happiest. After high school, Van Bergeyk would like to become a microbiologist.